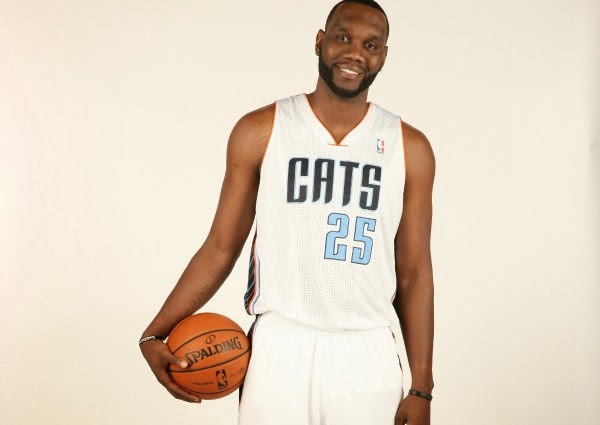 Al Jefferson is out for tonight’s home opener vs Cleveland. Jefferson suffered an ankle injury against the Miami Heat in the preseason and apparently re-aggravated it in Wednesdays 96-83 loss to the Houston Rockets. Jefferson was brought in during the off season on a 3-year/$41 million contract. He struggled against Houston as he shot 6-for-19. Bizmac Biyombo will start in his place.